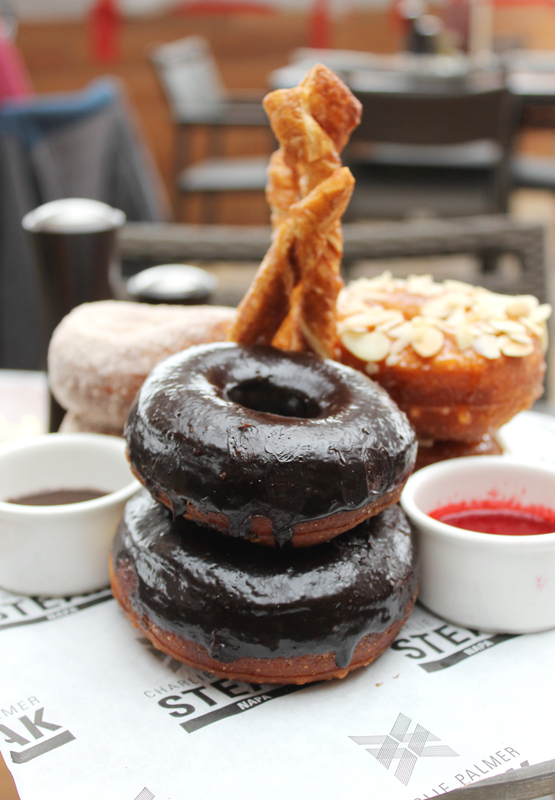 Doughnuts galore at Sunday brunch at the Archer Hotel. From their calm and courteous demeanor, you’d never guess that this time of year is probably the most nerve-wracking for the staff that puts together the upscale Sunday brunch buffet at the Archer Hotel in downtown Napa. That’s because that brunch service is the only one in the Napa Valley that’s held atop a five-story building in an expansive open-air rooftop pavilion. 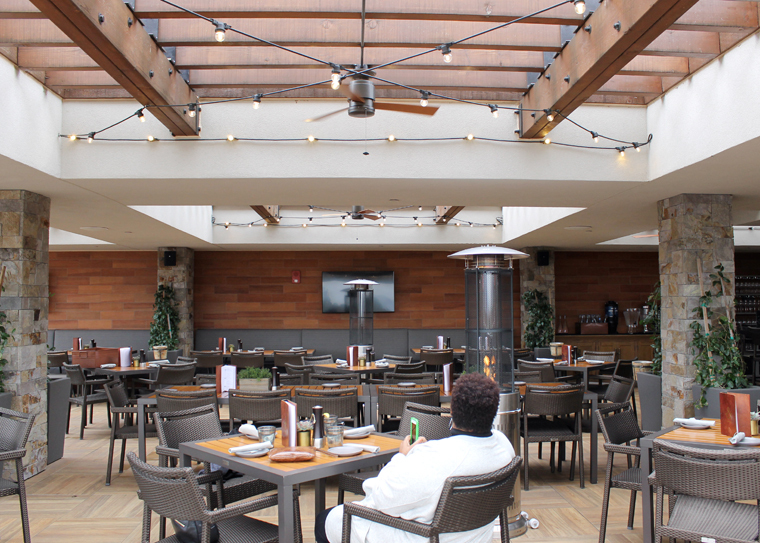 If the weather is ominous –then and only then — the brunch is moved from Charlie Palmer’s Sky & Vine Rooftop Bar inside to the hotel’s Charlie Palmer Steak on the ground level. With this winter’s rash of stormy weather, the decision on where to hold brunch each Sunday has not been an easy one to make. “Will it be raining? Will there be too much wind? It’s very stressful. I don’t think there’s any other restaurant here that has to take all that into consideration,” said a manager, who noted that the decision on the location of the brunch must be made the night before in order to give the staff enough time to prepare. A view of the hotel from my balcony. Sky & Vine Rooftop Bar. I lucked out in late-February when I was invited as a guest of the hotel to stay overnight and try the brunch because the rains held off just long enough for me to enjoy the repast al fresco. 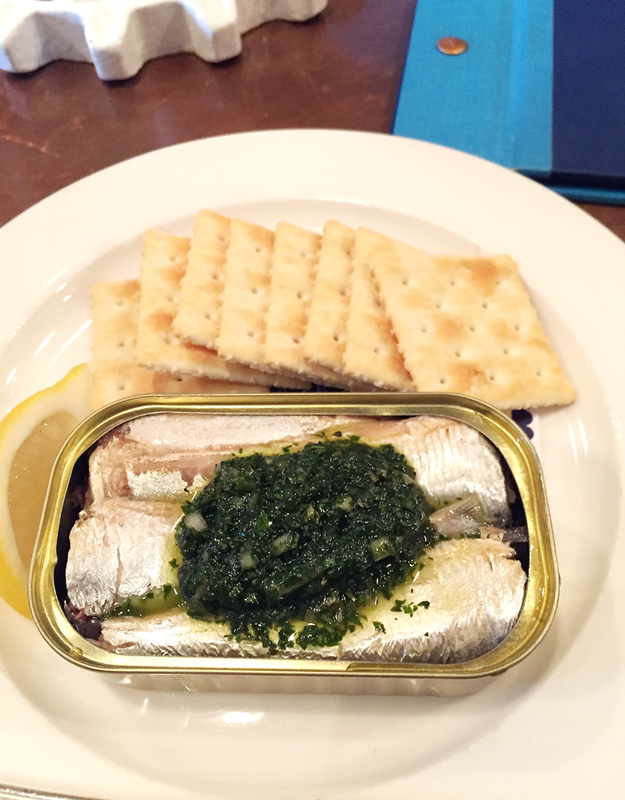 A fun little snack of Spanish sardines at Barnacle. SEATTLE, WA — When you land in Seattle on a late-Thursday afternoon, what is — and should be — your first stop after checking into your hotel? 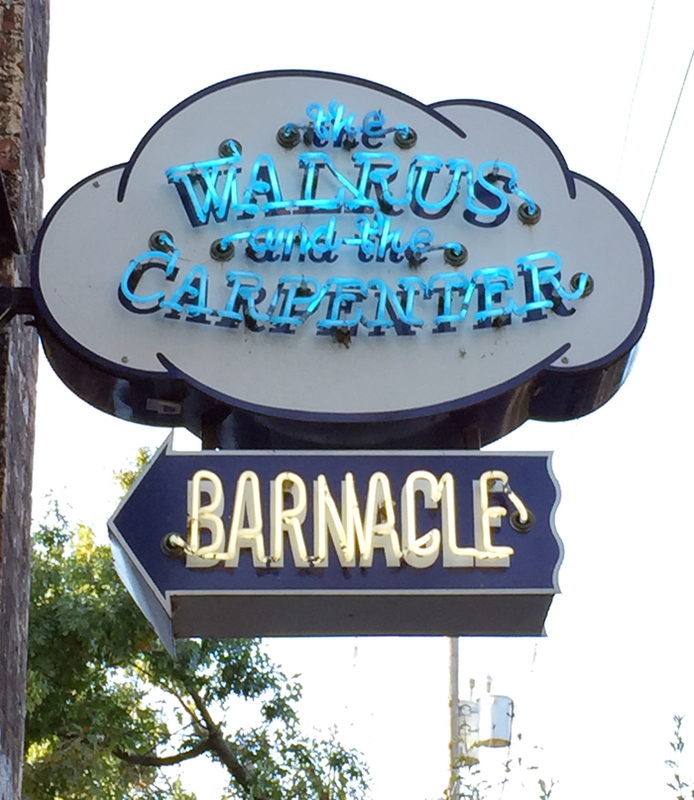 The Walrus and the Carpenter for Oyster Happy Hour. Oh, yes, it is so worth it to make a beeline for this Monday through Thursday Happy Hour, if you are a fan of oysters on the half shell because these are some of the best around. From 4 p.m. to 5 p.m., the oysters are half off. From 5 p.m. to 6 p.m., they are 25 percent off. Of course, everyone else has the same idea, so no doubt you will arrive to find the restaurant already packed, as my husband and I did. No matter, it just gives you a great excuse to enjoy a cocktail at adjacent Barnacle bar. Actually, this one building houses THREE Renee Erickson establishments. Both places are owned by James Beard Award-winning Chef Renee Erickson. In fact, she even has a third restaurant, Sea Creatures, in this one building. Plus a whole lot more. Just before Thanksgiving, Chef Charlie Palmer opened the first California location of his American steakhouse concept. Charlie Palmer Steak Napa marks his fifth steakhouse across the country. 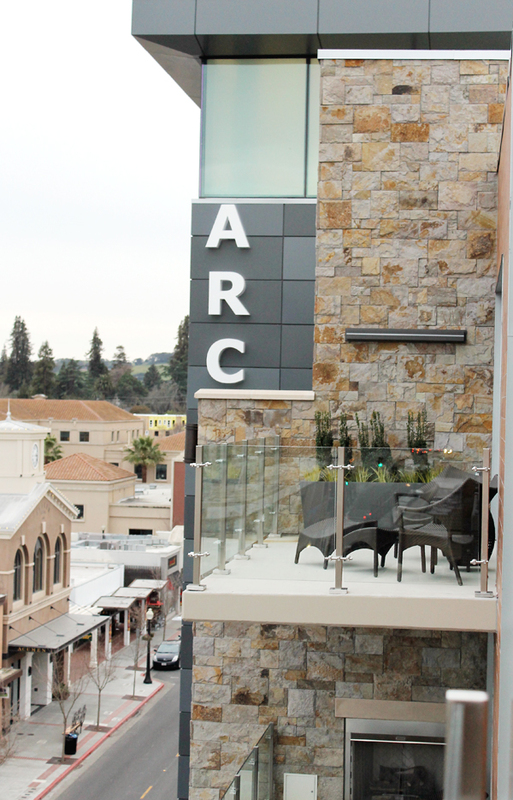 Housed inside the new Archer Hotel Napa, the 4,000-square-foot restaurant is headed by Executive Chef Jeffrey Russell. Enjoy raw bar specialties; pig ear pad thai ($16); a 21-day dry-aged, bone-on tomahawk chop for two ($130); and A5 Wagyu from Japan at $100 for 4 ounces. The Bottomless Brunch ($38) per person includes unlimited Bloody Marys and Mimosas for two hours, the choice of a main course, and either a charcuterie board for the table or a “doughnut wheel.” The latter is sure to become an Instagram sensation with its cinnamon-sugar, chocolate-glazed, and almond-chocolate doughnuts stacked on a wheel with caramel and raspberry dipping sauces. Bacchus Management has hired its first executive pastry chef to head all of its restaurants and bakeries. For the first time, one person will oversee the baking and dessert programs at The Village Pub in Woodside, The Saratoga in San Francisco, Spruce in San Francisco, Mayfield Bakery & Cafe in Palo Alto, The Village Bakery & Cafe in Woodside, and four Pizza Antica outposts in the Bay Area. Janina O’Leary grew up in Texas, graduated from the French Culinary Institute in New York, and went on to work in such top-tier, fine-dining establishments in Manhattan as Per Se, Del Posto and Restaurant Daniel. She also worked at Bouchon Bakery in New York. When she moved to Austin, she became famous for her doughnut pop-ups, whimsically named Play Dough. 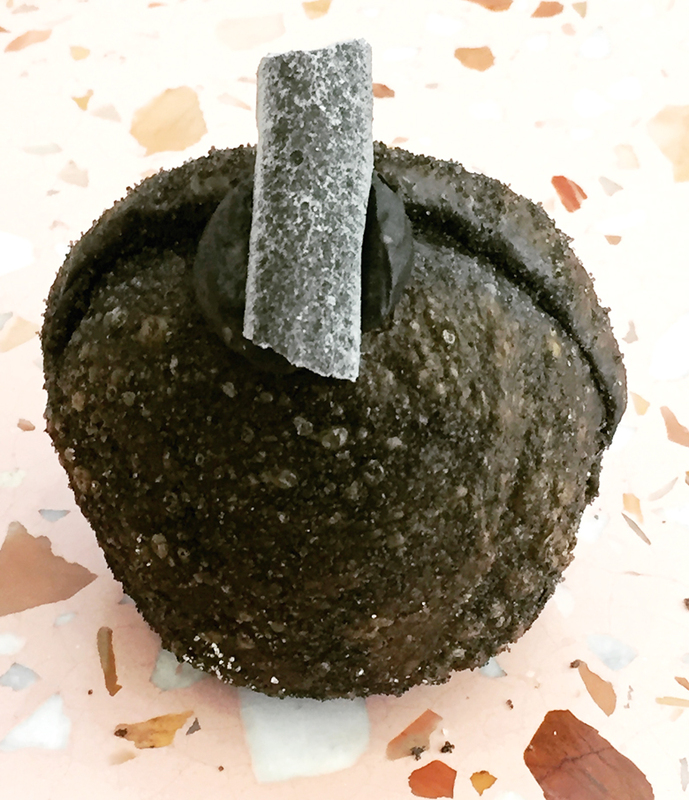 Behold the Triple Black Donut at the new Supermoon Bakehouse. 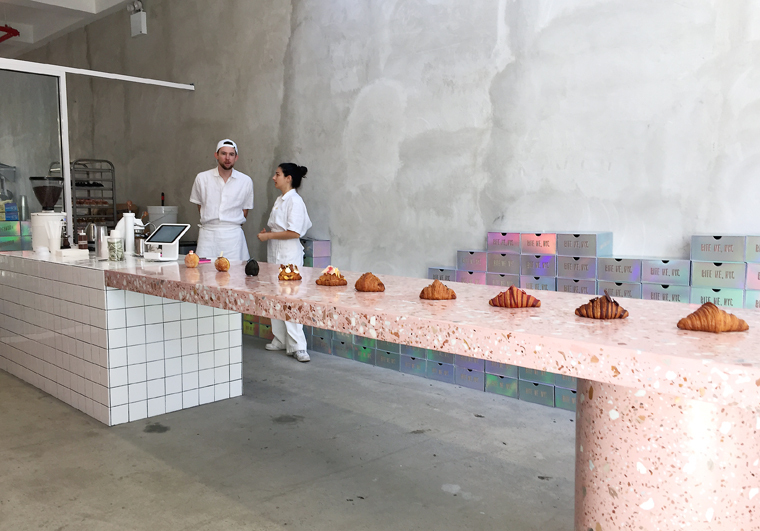 At Supermoon Bakehouse, you’ll find some of the most mind-blowing baked goods you’ve ever laid eyes upon. 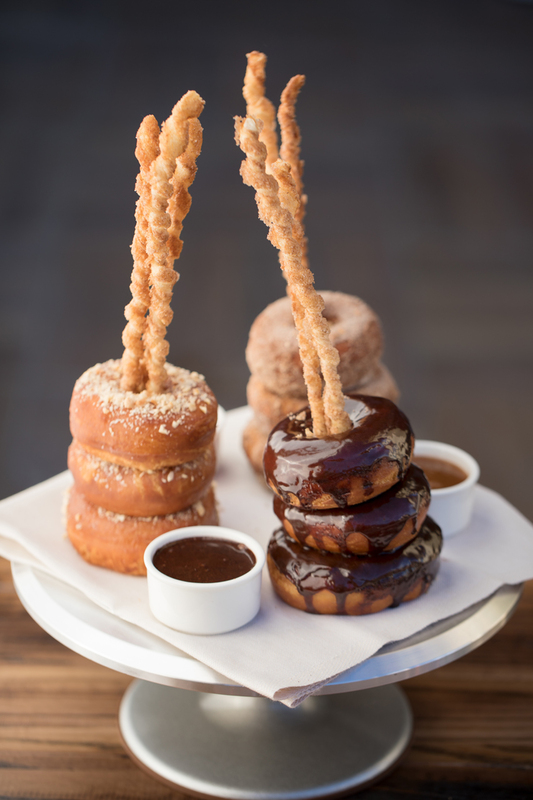 But then again, they are the the handiwork of baker extraordinaire Ry Stephen, the creator of the Cruffin and co-founder of Mr. Holmes Bakehouse in San Francisco. 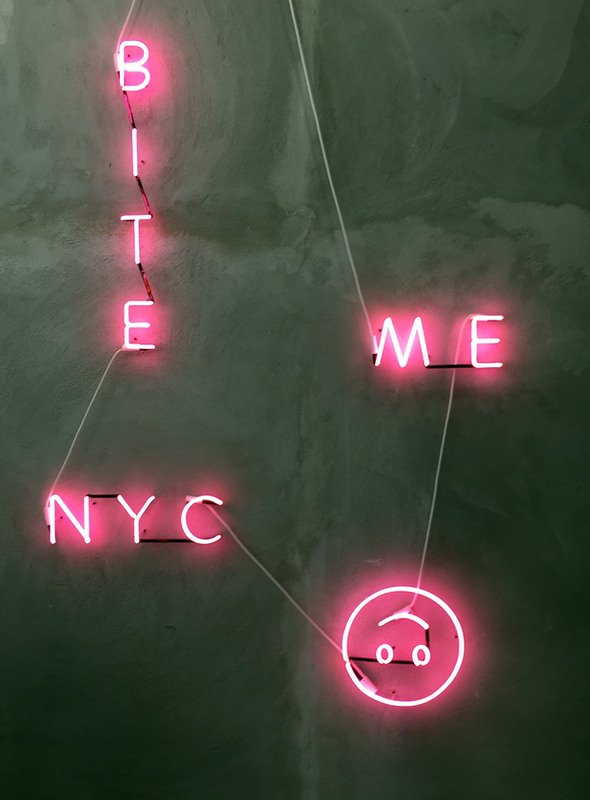 What luck to have it open its doors in the Lower East Side the week we were in New York, too. At this place, there’s a sense of fun in everything they do. Pastries displayed on a long counter make photo-taking easy. You’ll find Cruffins here, and a whole lot of other unique pastries that sport a strong foundation of crisp, buttery, airy layers — then go wild with imaginative fillings, colors and designs. 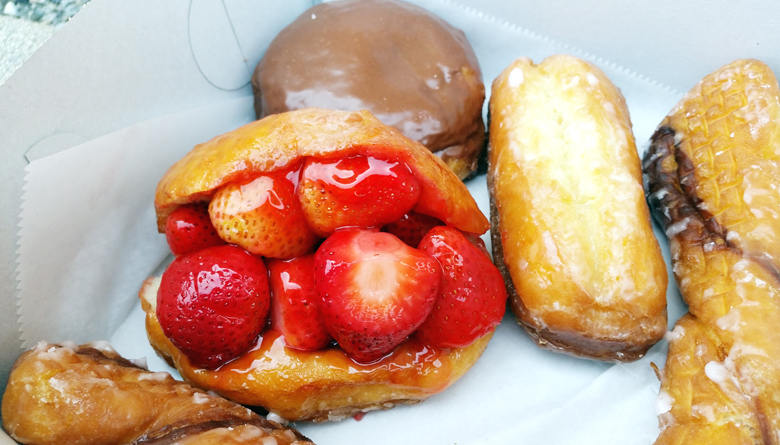 Finally — the elusive fresh strawberry donut at The Donut Man! 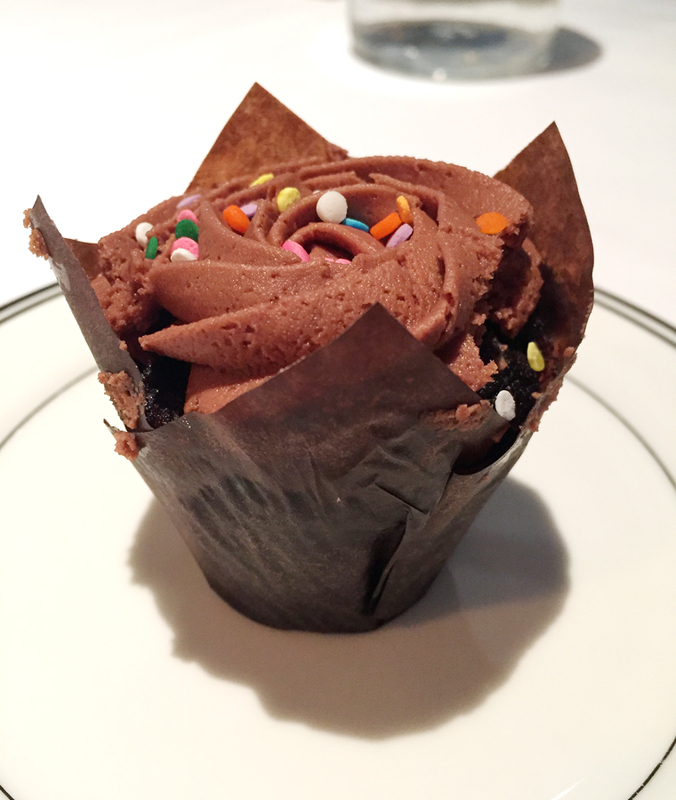 On a recent trip down to Los Angeles, I had a chance to try some new favorite eats. All satisfying. All affordable, too. The best kind, don’t you, think? I’d heard about it, seen pics online and salivated over it on the Food Network. 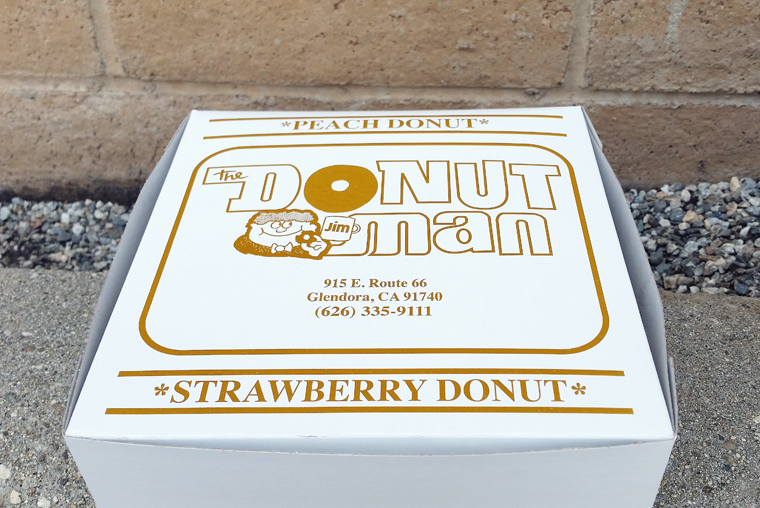 But try as I might, I never seemed to be in Los Angeles at the right time of year to snag a fresh strawberry donut at The Donut Man in Glendora. Let me tell you, it was definitely worth the wait and lived up to all the hype. Imagine a fresh brioche donut split in half, then stuffed to the gills with fresh, juicy whole strawberries that have been macerated in just a smidge of syrup. What I love is that it’s not overly sweet at all, thanks to the fact that the donut, itself, is not glazed. As a result, the flavor of the berries shine through. It’s sort of like strawberry shortcake. Only better. Of course, after making the drive, you’ve got to get more than one donut. You’ve got to get a box-load. A beloved institution for more than 40 years, The Donut Man is sort of in the middle of nowhere. It’s essentially a humble kiosk with a walk-up window in a parking lot shared by a martial arts school, of all things. If you’re anywhere in the vicinity, do make the drive. Now, if I can only make it back one later in the summer when the fresh peach donut is available. Yes, same as the strawberry one, but with fresh slices of yellow peaches instead. That’s definitely worth making a return trip. Think the Ferry Building in San Francisco — but a version that keeps it a little more real. 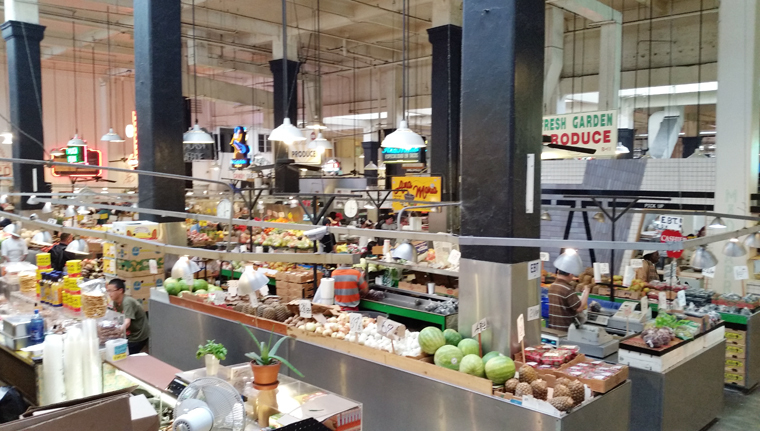 That’s Grand Central Market in downtown Los Angeles, a market arcade that originally opened in 1917, but was infused with new life two years ago. Sure, there are upscale food vendors now such as Belcampo Meat Co., and Bombo, esteemed Chef Mark Peel’s seafood-centric cafe. But there are also old-school, ethnic outposts such as China Cafe, which dishes up chop suey and egg fo yeung; Valeria’s, which offers a well-stocked Latin pantry of items, including fresh mole pastes to take home to cook with; and La Casa Verde, a large produce market with very down-to-earth prices.